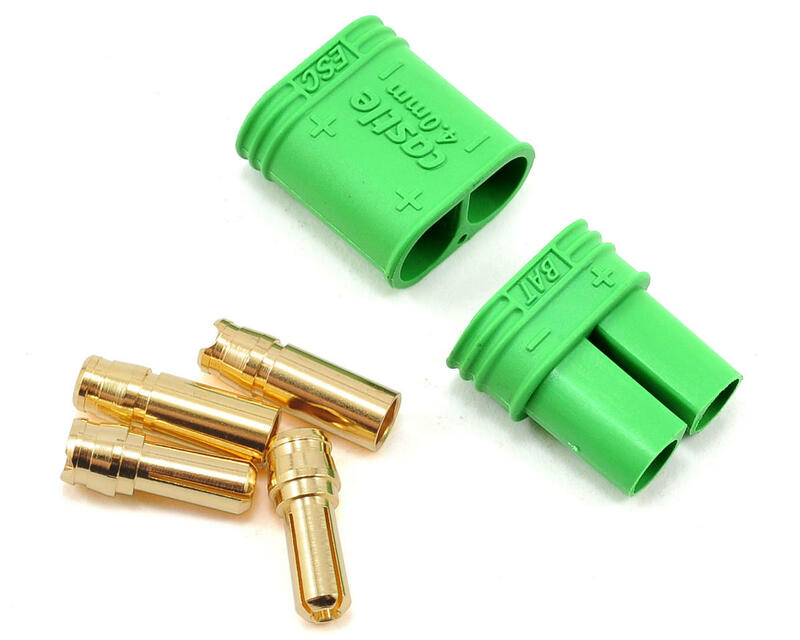 This is the Castle Creations 4mm Polarized Bullet Connector Set. Polarized connectors have a place in the hearts of many modelers as they make it impossible to destroy their expensive electronics and batteries by plugging them in backwards. However, they have been lacking a connector capable of extremely high currents, constantly having to increase their voltage to maintain amperage levels. But what do you do when you’re maxed out on voltage and your setup requires more amperage than battery connectors on the market will handle? What if you don’t want to or can’t increase your voltage due to size constraints or competition rules? The answer is simple, you go green. 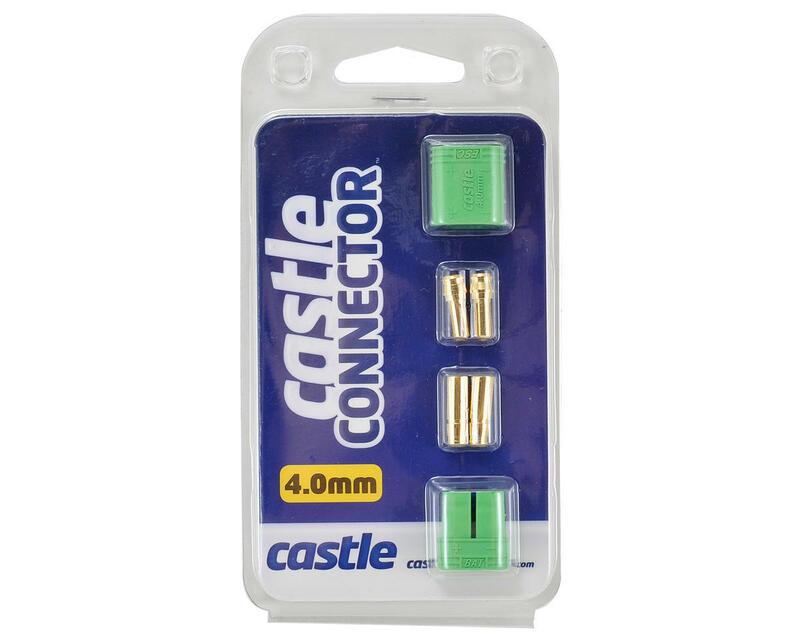 The Castle Creations polarized connectors will handle up to 200 amps of continuous current (for the 6.5mm version; 75 amps for the 4.0mm connectors) without breaking a sweat at any voltage level used in R/C applications.